More people are getting their news on computers and smartphones with arrival of the digital age. However, newspapers and magazines have not only survived, but are also preparing to thrive well into the future. Through it all, minority-owned media outlets have been ready to equip their readers with knowledge, a powerful weapon for justice and progress. “We are fast adapting to this new age and increasing our digital presence every day. I think that you will find most of our newspapers are doing that these days,” said Dorothy R. Leavell, chairman of the National Newspaper Publishers Association (NNPA), which has a combined readership of more than 15 million readers. She is also publisher of the Chicago Crusader and Gary (Indiana) Crusader newspapers. Leavell noted that the strategy being used by most print media companies is to view the arrival of digital technology and social media as an opportunity instead of a challenge. “It presents us with a great opportunity to reach more people and faster,” Leavell said. Newspapers and magazines have simply incorporated the digital approach into their product offerings. 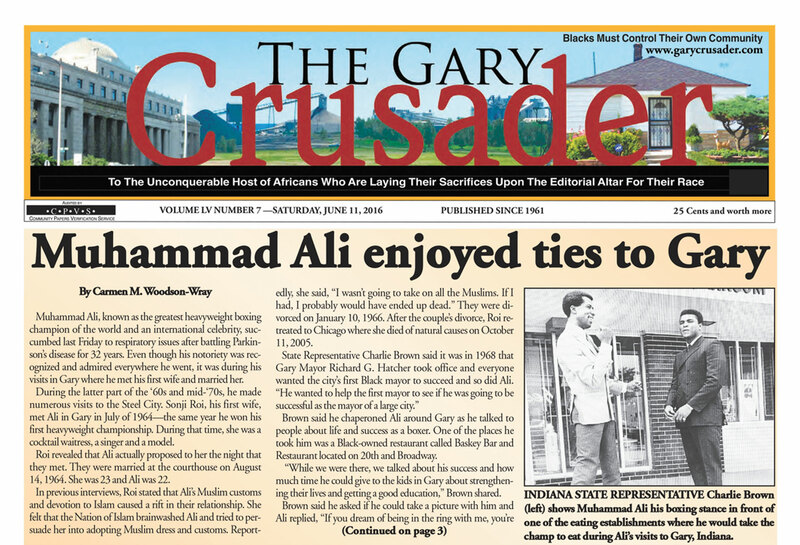 For example, The Gary Crusader offers its traditional print edition, a website and Pulse, a new online source that provides breaking news and daily digital updates. Another NNPA-affiliated company, the Recorder Media Group, has utilized digital technology as a tool to expand its readership and provide useful information as news occurs. Headquartered in Indianapolis, the Recorder Media Group publishes both the Indianapolis Recorder, a weekly newspaper founded in 1895, as well as Indiana Minority Business Magazine (IMBM). The Recorder Media Group took a leading step in that direction by not only having a strong social media presence and adopting apps like other NNPA newspapers, but also by working with IUPUI’s University Library to make historic Indianapolis Recorder articles published between 1899 and 2001 available in an online archive. “We have been very excited about the project, and many people have enjoyed having that kind of access to history,” Williams said. Print media outlets representing other cultures in Indiana have also made a comfortable transition to the digital age as they seek to continue to uplift their communities. El Puente, a Hispanic-owned newspaper based in Goshen, quickly realized the importance of using digital technology when it picked up a new generation of readers. “We are able to reach the younger generation that is more used to that type of technology,” said Zulma Prieto, founder and publisher of El Puente. Like the African-American-owned newspapers in the NNPA, Asian and Hispanic publications have also noticed that an increasing number of their advertising clients are requesting that ads be published in both print and digital formats to keep up with the latest marketing trends. Based in Indianapolis, Asian American Today is a Chinese-language publication that is available in print and online editions with news from around the state and across the world. Shannon Williams has shown visionary leadership as President of Recorder Media Group, which includes the Indianapolis Recorder newspaper and Indiana Minority Business Magazine. Williams graduated from Jackson State University with a bachelor’s degree in mass communications. She began her tenure with the Indianapolis Recorder Newspaper in 2000 and worked her way up through its ranks with hard work and innovative excellence. Under her leadership, the newspaper’s readership reached its all-time high of 111,000 and the magazine distributes more than 35,000 issues each quarter. Throughout her career, Williams has received many awards and honors for her outstanding contributions to journalism and communications. 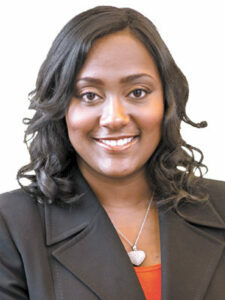 She has been involved with several community organizations and served on a variety of non-profit boards. Williams made history in 2011 when she became the first African American to serve on the board of the Hoosier State Press Association, and is currently on the executive board of the National Newspaper Publishers Association. Williams has been a passionate advocate for criminal justice reform, equality and the elimination of racism and sexism. According to the American Society of Newspaper Editors, minorities comprise 17 percent of employees at daily newspapers and 23 percent at online-only sites.